Good ideas are a little like coffee. You need to plant the beans in the right place and expose them to the correct amount of light and rain, and before you know it you’re sitting behind a well roasted cappuccino. And so it was for The Medal Hanger Shop and all the stainless steel medal displays we boast about. Over coffee we were discussing a medal display purchased abroad that was slicker than the plastic versions that were readily available in the UK, back when medals weren’t such a ‘niche thing’ and well before metal medal displays were available in the UK. The one we were looking at was not the best quality, but the seed was sown, we wanted to manufacture our own, and we wanted to keep all the processes local. The Medal Hanger Shop is a partnership of two. 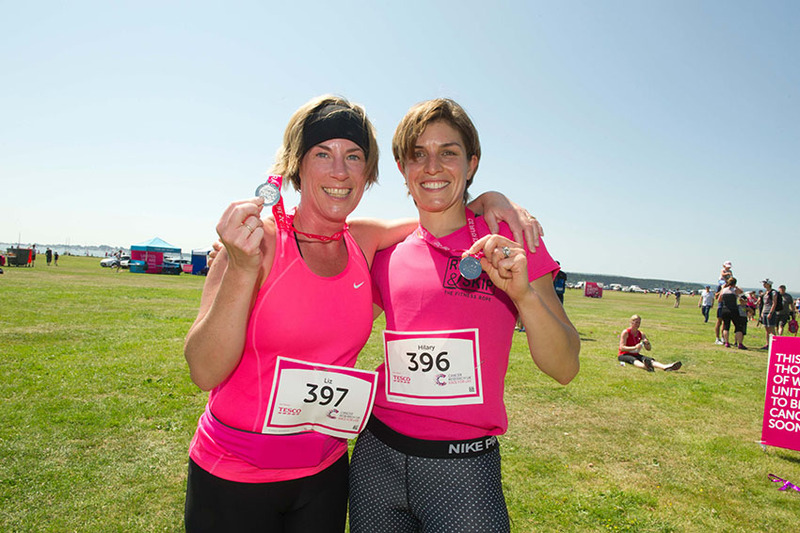 Hilary, a Fitness Instructor with over 10 years industry experience, and Liz, a footie Mum and enthusiastic (if not always wholly successful) sportswoman. Our love of sport is ingrained in our business ethos, our medal hangers are quality products but accessible to a range of budgets, and for as wide a variety of sports as we can stock. To top it all off, we are committed to attending local events to support local sports companies and their competitors. When we’re not at events, and not training or competing ourselves, we’re wrapping medal hangers and engraving medals. We have also added canine and equestrian products to our arsenal of medal display ware; dog lead hangers, canine sports medal hangers and rosette hangers to name a chosen few. We sell medal displays from our own Website and also Amazon and Not On The High Street, and whichever avenue you take to get to us, you will always receive first rate customer service and excellent quality products. We believe first and foremost in supporting people and spreading a love of fitness. We believe next in the motivational power of the medal and, finally but equally as importantly, supporting local manufacturers and suppliers in the development of local business. 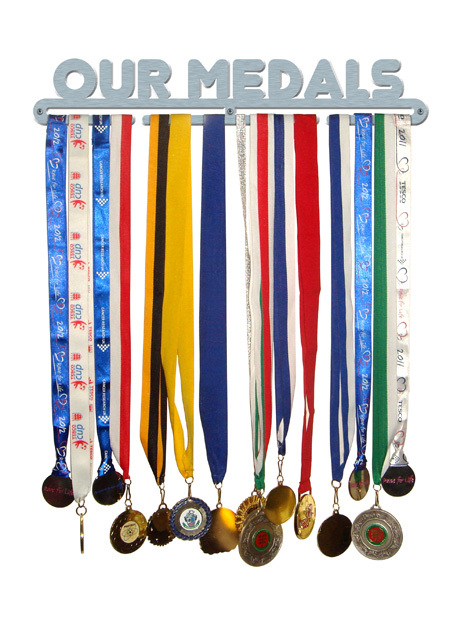 Thank you for choosing The Medal Hanger Shop, the UK’s original and best medal display manufacturer. Fantastic delivery and top quality product! Just ordered another one. Excellent quality for the price!! I’m rather pleased I bought it. I would like to thank you for such a wonderful and unique item which arrived yesterday. I’m thrilled with the product and I know my son will be when he opens on Christmas day. I am so pleased with this triathlon hanger and have been the envy of my friends. Thank you so much for sending my order so promptly, it arrived today, and is just perfect! Thank you medal hanger shop for the perfect way to display my hard earned medals. From marathons to swimathons, road to trail, each one comes with its own special memory. This isn’t about boasting, it’s a celebration of my achievements.